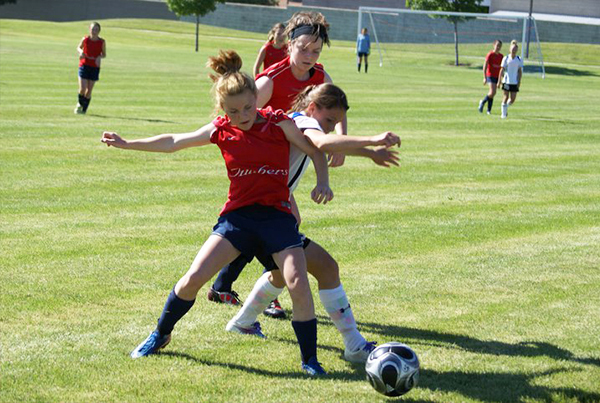 With most Associations and Clubs starting their fall recreational registration period in April, the months ahead will see thousands of young players statewide trying out for select and premier Clubs and teams. That’s why this month, we’ve talked to coaches to learn the secrets to a successful tryout — what matters more, ball skills, or athleticism? What are some little things you can do to make yourself stand out? In addition, we’ve added in a few useful tips for players and parents to keep in mind in this often nerve-wracking time — from choosing the right Club, to making sure that you’re at your best when the big day arrives. Good luck! 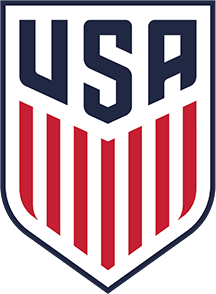 No matter how many State Cup titles a Club has won, or how many Division-I college players it has produced, there is no soccer Club in the world that is the best fit for every player. Each Club’s website or brochures should give an indication of the time commitment, travel requirements and financial investment required by that Club, as well as the expectations they’ll have of each player. Some players might be ready for the greatest challenge, while others might just want to have fun and play with their friends. Before going to tryouts, make sure that the goals of the Club you’re trying out for align with the goals of your player. The Club Directory at WashingtonYouthSoccer.com is an excellent resource for finding and comparing Clubs and Associations in your area. Preparing for tryouts involves much more than just practicing skills. In addition to honing your stepover or fine-tuning your shot, it’s important to prepare yourself mentally — both for failure, and success. During the tryout, you may make a mistake (in fact, you almost certainly will, at least once) or coaches may surprise you by asking you to play a position you are unfamiliar with or that you don’t consider your “best.” Be prepared for these situations, and respond positively. Soccer games are full of unexpected developments and difficult moments for each team — the players who respond the best in these challenging moments in a tryout will be certain to catch a coach’s eye. Without fail, each of the coaches we spoke with mentioned players being late, or arriving unprepared, as one of the biggest negatives during a tryout. Arriving late to tryouts shows the coach that you don’t value his or her time, or that of the other players, and suggests that you’re not completely invested in the tryout process. With dozens of other players on time and eager to make the team, it sets you apart — in a bad way. Instead, arrive at least a half-hour early, to give you plenty of time to put on all your gear, warm up, and pass the ball around with a friend or fellow player. Not only will you feel more relaxed and confident, but a coach who arrives at the field to see players already warming up and passing the ball is sure to take note. And if a coach’s first impression of you is that you are a well-prepared self-starter, you’ll be starting the day at the top of his or her list. There are things that you, as a player can control — your amount of rest, your amount of practice, your pre-tryout meal, your clothing (one coach we spoke to recommended, if allowed, wearing a brightly colored shirt or socks to help distinguish yourself from the other players). There are other things you can’t control — the weather, the skill level of the other players at tryouts, and the attention of coaches. If you accept going in that you can only control certain factors — and concentrate on achieving peak performance in those areas — you’ll be better prepared mentally to succeed in any situation. A tryout can be a long process, and there will be times that you feel you aren’t being noticed. But do you know what else is a long process, with periods of activity separated by stretches of inactivity? A soccer game, and a soccer season! Coaches will be looking for those players who remain focused and attentive at all times throughout the tryout. When the coach is speaking, look him or her in the eye; it’s a natural human reaction to return eye contact — if you’re looking at the coach, it’s likely he or she will be looking at you as well, and noticing that you care about what he or she has to say. Likewise, don’t mess around with your ball, or talk to friends between drills, or while the coach is talking. Keep your ball still and your eyes on the coach, and you’ll show the coach you’re focused and serious about what he or she has to say. You’ll notice that we have gone six items in, and are just now getting to anything that has to do with actually playing soccer. When hundreds of players attend a tryout, it’s inevitable that only a few will stand out (good and bad), while the vast majority will be of a similar skill level. That’s why it’s important to try to set yourself apart from the pack in ways beyond just your soccer ability — things like showing up early, making eye contact and introducing yourself to the coaches can make the difference when coaches have to choose between dozens of players of similar skill. That said, the two on-field skills that are easiest to judge in a tryout are athleticism, and ball skills. Work on ball control, particularly trapping the ball and dribbling in tight spaces — practice dribbling at pace around cones, with the inside and outside of your foot, until you can do it quickly without losing control of the ball. Most tryouts will begin with small-sided games, where the limited space make ball skills of superior importance. In addition, work on building your speed and ability to change direction — in the full-field game, the fastest players always stand out. Silent players are easy to ignore; verbal ones are not. Just as when you introduced yourself to the coach before tryouts, keep communicating when you’re on the field. Positive communication — calling out marks, anticipating passes and runs, etc. — demonstrates both leadership abilities and teamwork, two qualities all coaches look for. Just be sure to keep all communication positive; don’t criticize other players’ actions or decisions, or complain if something doesn’t go your way. Trust the coach to understand went wrong and why, without you having to point it out. A high motor will get noticed. When moving between drills, jog — don’t walk. Be the first one back from water breaks (in fact, if you didn’t get a chance to introduce yourself before the tryout, a water break is a great time to do so). Should you be tackled or beaten during the tryout, don’t stop and pout or cry foul — chase the ball and win it back. Coaches don’t want players who complain or give up — they want players who continue to compete hard no matter what the circumstances are against them. This one is for the parents. It’s hard to watch your child be evaluated against others. We all want our kids to be the best, and to have the chance to achieve their goals. Before the tryout, make sure that your child knows you love and support them — an encouraging hug and loving words can be just as inspirational (or even more so) as a fiery motivational speech. During the tryout, don’t coach from the sidelines, and avoid talking with the coaches. Let your child’s play on the field speak for itself. Immediately afterwards, don’t add your own analysis to that of the coaches — whether your child made the team or not, a hug from you will be the best thing you can give them. While success is great, nothing is more important than having fun. No matter how prestigious the Club or team, if it’s not fun for you or your player, it’s not worth it. Players will gain more enjoyment — and likely have more success — in situations where they feel that their goals (team success, personal improvement, exposure to college coaches, or even just competing among friends) are being met. Follow these tips to make sure you’re prepared to do your best this spring — whatever that might be!